This paper discusses performances of VMI-based supply-chain systems by using simulation. 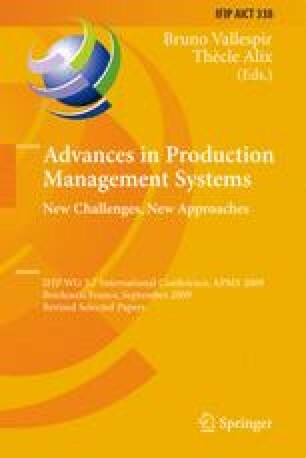 Two types of VMI system will be discussed in this paper: “Single-manager stock-driven model” and “Dual-managers schedule-driven model”. Several scenarios would be introduced and tested by using typical example models.